Pen Pals & Picture Books: Who's afraid of the big bad summer? Who's afraid of the big bad summer? Hello there, are you all currently experience the maniac 'end of school' highs and lows like I am? If you're not, let me give you an example. On the one hand, I'm not sure if I can bring myself to drag my kids out of bed and force them to get dressed and out the door even one more time this week, let alone for the rest of the school year. And I'm pretty much done with homework assistance and encouragement and cheerleading…if my kindergarten really wants to put up a fight and not do her sight words I'm probably not gonna push it right now…BAD JOB WHITNEY, I know…I know! BUT, on the other hand, summer…kids home all day…how am I going to keep them happy and entertained and keep myself sane?? I've been thinking it'd be soooo nice if they could just go to school from like 11-1 each day during the summer. They'd get to see their friends (without me having to coordinate a playdate for everyone), maybe just some light math games and reading aloud-- how about by college students in the elementary ed program-- cuz we all know classroom teachers are WAY in need of a break right now! It would be perfect…so perfect…and imaginary…and I'm delusional. So, because I have to face reality, I've been trying to come up with a few summer solutions to make me less nevous about the (for lack of a better phrase) impending doom. I thought I'd share a few. I want to enjoy my kids this summer and have fun, not feel frazzled everyday, you know? This idea from BH&G has just enough of a fun element that it might work. 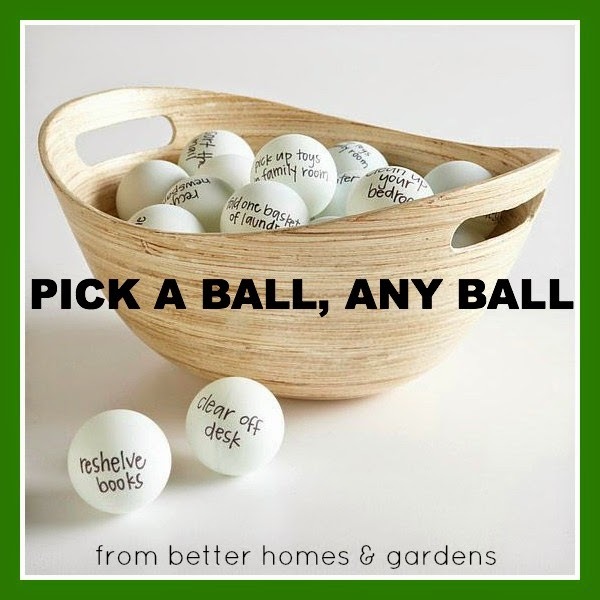 There a lots of chore-ish games of chance like this dicey version featured on apartment therapy that might be enticing to the kids. Robyn's jar of sticks BUT with jobs on them could be very useful! And how about an app? I came across Chore Monster on the app store. It's like a chore chart and reward system…but you don't have to make tokens or charts (or any of the more work for mom stuff). Just might be worth a try! We might turn spray the letter into spray the sight word. And perhaps I will hop over to the library and look for a science experiment book. This one, or even this one, because EASY = WONDERFUL in my world! 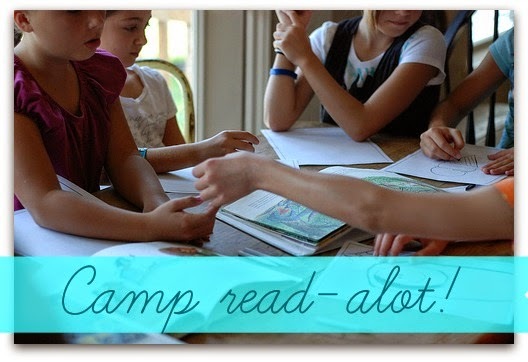 Perhaps if I get really organized AND get some motivated moms on board, we might try for a summer book camp. I'm sure if I pick a few of those and throw in some exciting read alouds, plenty of veg time, swimming, running around eating popsicles and spraying each other with the hose; we may just be in for a grrrrreat summer after all! Now to get through the next few weeks…sigh.